Laptops that convert to tablets have become more commonplace in the last few years and with this year's innovations, they're bound to become even more popular. The biggest news is that Alexa is coming to Windows 10 laptops and computers. We're also seeing beefed up thin-and-light laptops that no longer skimp on features. They are making a jump in picture quality as 4K and HDR (high dynamic range) come to both laptop and convertible displays and more powerful processors are capable of handling complex rendering, 4K streaming and multiple tasks. 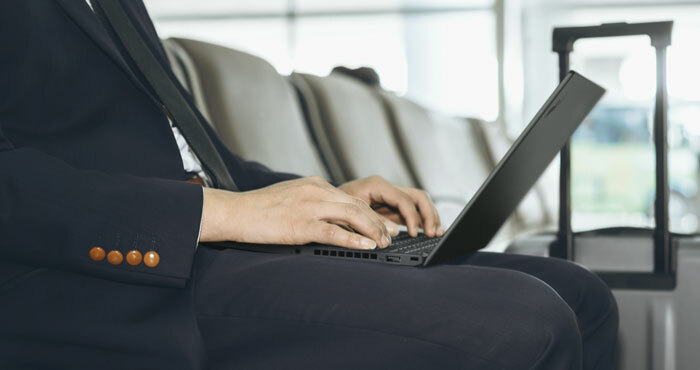 Always-connected LTE mobile internet access is coming to more models and connectivity between smartphones and laptops has become easier. And most models now have fingerprint readers and IR cameras for facial recognition that work with Windows Hello for instant-on access to Windows. As with all innovative new features, it begins with the top models. “Alexa, check my calendar.” “Alexa, turn off living room light.” Voice commands will soon be available right from your laptop as a number of models will be including Amazon’s Alexa voice assistant. The laptops will include a four- or dual-microphone array with far-field recognition so you can speak to your laptop from across the room. Like an Amazon Echo or other Alexa device, it will feature always-on listening so you can say voice commands even if your computer is sleeping. What about Microsoft's Cortana? Alexa works in conjunction with Windows Cortana with Cortana still being used for computer functions like searching for files and opening apps. This ultra-thin laptop doesn’t give up performance for size. At only 9mm thick, which Acer claims is the world's thinnest in its class, the Swift 7 also packs a powerful 7th generation Intel Core i7 processor. And, you don’t have to worry about searching for a Wi-Fi hotspot as it comes with 4G LTE connectivity. Unlike other laptops that are leashed to one mobile carrier, the Swift 7 uses a Sim card with eSim technology to connect to any 4G LTE network of your choice. The laptop ships with 1GB of free data valid for one month. Additional data plans can be purchased as needed from anywhere in the world through the Mobile Plans application. This makes the Swift 7 a great choice for world travelers or those who often do business outside the U.S. The Swift 7 has a streamlined design. The 14-inch Corning Gorilla Glass touchscreen HD display has a narrow bezel to maximize the viewing area. It includes a backlit keyboard and spacious glass touchpad with smooth feedback. For security and convenience, it includes a fingerprint reader that supports Windows Hello for instant login. Battery life is estimated at 10 hours for all-day productivity. All this power and convenience in a small package isn’t cheap. The Swift 7 will be available in March with prices starting at $1,699. 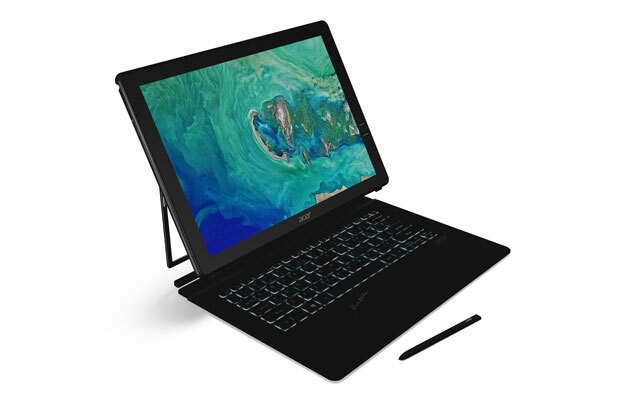 Billed as the alternative to the Microsoft Surface, Acer claims the Switch 7 Black Edition with AutoStand is the first fanless 2-in-1 notebook that is liquid-cooled using Acer’s Dual LiquidLoop technology. LiquidLoop keeps the Switch 7 cool as it powers through tasks with an 8th Gen Intel Core i7 processor with MX150 graphics card. Another innovative feature is the Switch 7's patented kickstand, the AutoStand can be auto-deployed and auto-retracted using one hand. The Switch 7 features an under-glass fingerprint sensor with POA (power on authentication). Included is a Waco Stylus with 4096 levels of pressure sensitivity and pen-tilt support to control the angle width and shading. The stylus is battery-free and works with Windows Ink. When the keyboard is detached, the Switch 7 is almost as thin as the Swift 7. The Switch 7 runs $1699 and will be available soon. All new Dell laptops and computers will come with Dell Mobile Connect pre-installed. Mobile Connect is a complete wireless integration between the Dell laptop or PC and iOS or Android smartphones. Users can make calls, send texts, get notifications or fully mirror their phone to their laptop or PC. 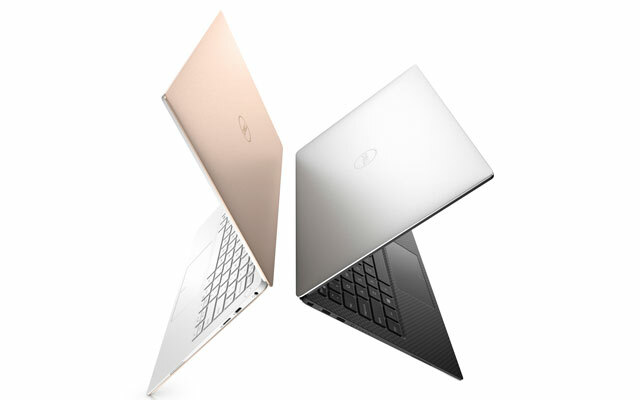 The 2018 version of the Dell XPS 13 is smaller, thinner and lighter than ever before. And, it’s prettier. While it still comes in silver and black, there is an option to get the laptop with a rose gold exterior with alpine-white keyboard and interior when you open it up. It’s not only the chassis that’s pretty as Dell brings 4K to this laptop. The InfinityEdge 4K display maximizes the 13 inch UHD screen. Dell says the XPS-13 has been “improved in every conceivable way.” GORE Thermal Insulation, the same silica aerogels used in the Mars Rover, diffuse and dissipate heat to keep the 8th Gen Intel Core i5 processor powered system cool. It is available now for $999 on dell.com. 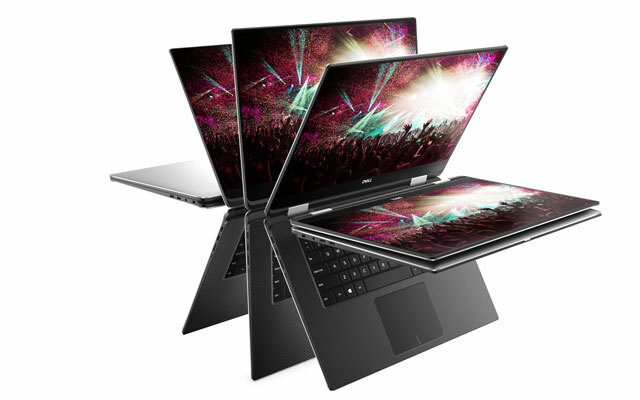 The new Dell XPS 15 is claimed to be the smallest and thinnest 15.6 inch 2-in-1. It’s a good thing, as a screen that is almost 16 inches with the new 8th Gen Intel Core Processor and Redeon RX Vega M graphics card would normally be big and bulky. Unlike typical keyboards the XPS 15 uses a maglev keyboard that uses magnets beneath the keyboard to provide tactile feedback resulting in deeper, clickier keys; a welcome addition as many 2-in-1s have had soft portable keyboards with little feedback. When you are not typing on the keyboard, you can use touch or an included pen. Available April 2018 for $1,299. 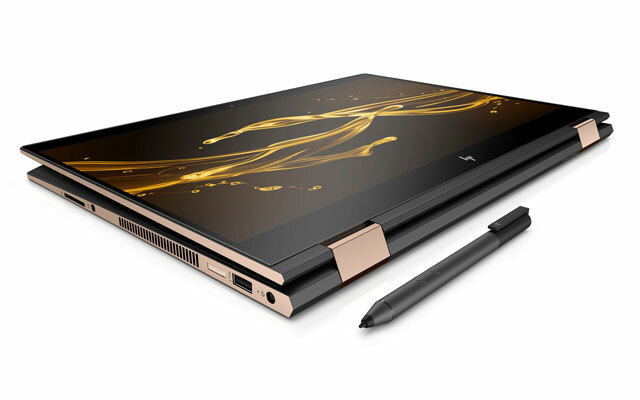 The HP Envy X2 may be one of the thinnest 2-in-1 laptops at 7.9 mm. Because it is fanless, it has an optimized thermal design to keep its 7th Gen Intel Core processor cool. Another 2-in-1 that is chasing the Microsoft Surface, its soft keyboard has backlit keys for use in all environments. When you don’t want to use the keyboard, there is an included digital pen with simultaneous pen and touch support for laptop and tablet modes. The integrated magnetic adjustable stand makes it easy to view and use in a variety of situations. The Envy X2 is always connected with a LTE-Advance support option that will take a Sim card. The Envy X2 is another laptop that you can use anywhere you get cell signal. Mobile carriers will be disclosed closer to release date. Available in Spring 2018, price not yet set. 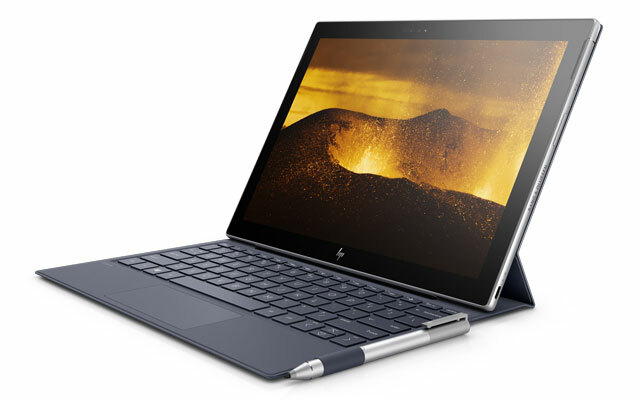 This year’s HP Spectre X360 15-inch model doesn’t seem to know that it’s a 2-in-1 as it is being deemed the world’s “most powerful convertible.” This laptop is all about being fast and having excellent performance. It has an option for 8th Gen Core i7 8705G with the Radeon Vega GL Graphics or a Quad core 8th Gen Intel Core Processor with an Nvidia MX 150 graphics chip—both powerful discrete graphics chips that can stream 4k content. It’s also fast to charge, as the battery can reach a 50 percent charge in 30 minutes or 90 percent in 90 minutes. Available on March 18, 2018 for $1369. 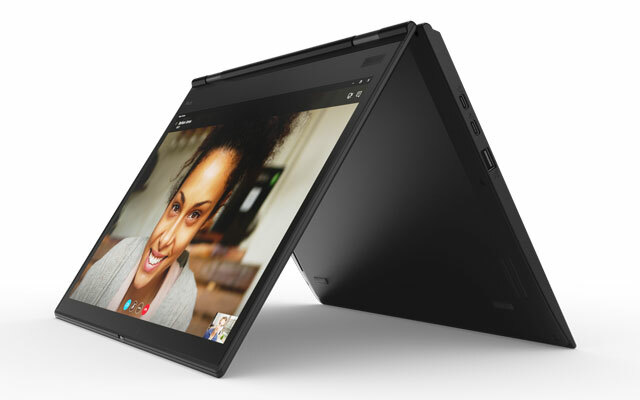 The Lenovo Miix 630 is a 2-in-1 detachable that has the power and productivity of a laptop with the always-on connectivity of a smartphone The Miix 630 uses the Qualcomm’s Snapdragon 835 Mobile PC Platform similar to some tablets and smartphones. Using Windows 10 S, it will run apps from the Microsoft store or you can upgrade to Windows 10 Pro at no additional cost. It’s not particularly thin, as the 12.3-inch HD touchscreen display is about 15.66 mm without the keyboard. The keyboard is full-sized and backlit so it can be used in the dark or you can use the touchscreen or the included digital pen with 1024 levels of sensitivity. Its fanless design makes it discrete to use in even quiet lecture halls. 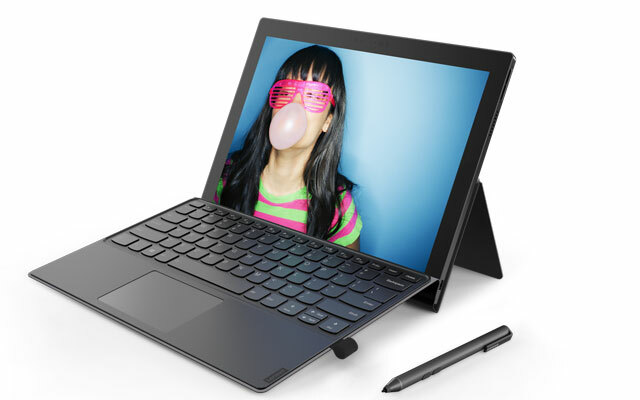 The Miix 640 is the least expensive option of the bunch as it uses Snapdragon rather than an Intel Core processor like the other laptops in this list. The Miix will be available Spring 2018 for $799. 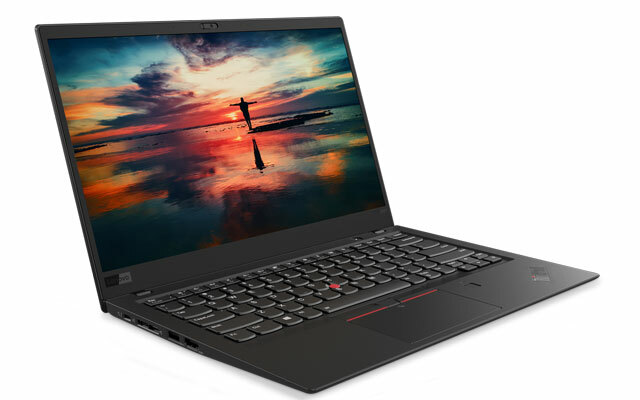 While the Lenovo ThinkPad X1 (6th gen) has a generous 14-inch screen, it is the world’s lightest laptop of its size weighing just under 2 ½ lbs. This is possible because it is made of carbon fiber composite that is virtually unbreakable and tested to survive water, extreme heat and ice. Whether you are in extreme conditions or indoors without Wi-Fi, the X1 has LTE wireless connectivity so you can always access the internet. Wherever you are, you’ll have up to 15 hours of battery life. With the Rapid Charge battery, a one-hour charge adds up to 12 more hours of productivity. The ThinkPad X1 is one of the laptops that supports wake-on voice and hands-free Amazon Alexa. Far-field 360-degree microphones can hear commands from up to 12 feet away for both Alexa commands and web calls. It’s not only lightweight and well designed, the 14-inch screen is the first to support Dolby Vision HDR for deeper blacks and better colors and dynamic range. 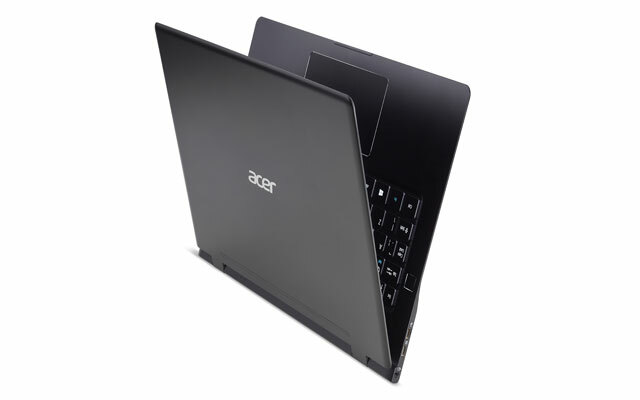 And, it packs a powerful Intel Core i7 with vPro processor without adding weight. The fingerprint reader and IR camera with facial recognition allows you to logon and start up Windows quickly. For times that you don’t want the camera to see you, Lenovo’s SlideThink Shutter closes off the camera. No longer will you need to slap a post-it over the camera for privacy. The Lenovo ThinkPad X1 Yoga (3rd Gen) is a more bendy, portable version of the X1 Carbon. The Yoga is known for its unique retractable keyboard and integrated ThinkPad Pen Pro. Otherwise, the Yoga has most of the features of the X1 Carbon including far-field microphones for Alexa, the ThinkShutter camera cover, LTE connectivity and the HDR display. Available January 2018 for $1889. The 2018 version of the Samsung Notebook 9 is more than a windows laptop with a pen. The Samsung 9 Pen uses AirCommand for S Pen shortcuts similar to those used in the Note 8. Like the Note 8, it features Samsung notes and Autodesk sketchbook, the ability to hover and bring up menus, take screenshots and more. Like standard pens, it has 4096 levels of pressure and tilt detection. The pen is charged by the laptop or you can use voice to take notes using Samsung’s Voice Note. The Samsung Notebook 9 is far more than a big Note as it has the 8th generation Intel Core i7. For convenience and security, it includes a built-in fingerprint sensor and IR front-facing camera that work with Windows Hello. 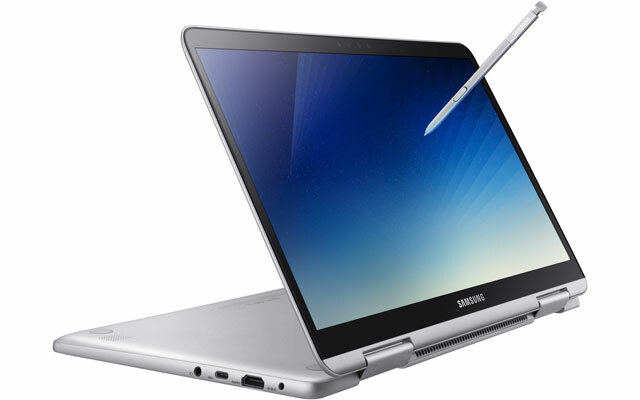 As part of the Samsung family, the Notebook 9 has Samsung Link Sharing that allows users to transfer videos, photos and documents from PC to another computer or Samsung smart device. Samsung Message lets users send messages from the laptop to contacts in Smartphone. Available first quarter of 2018, price not yet set.